"On The Boards" the Taste's second LP was issued in 1970 and was a much more satisfying affair than their debut. In fact this record was a favorite of mine as a stoned teenager in the 70's, I've recently revisited "On The Boards" and it still sounds pretty damn good. The record opens with the Taste show stopper "What's Going On" a powerful electric blues raveup with some stinging Gallagher guitar work. "Railway and Gun" is a folkish blues not too far removed from early Thin Lizzy. "It Happened Before, It'll Happen Again" is a remarkable number that really stretches out, Rory plays some really thoughtful runs on guitar and even plays some useful Alto Sax in the mid section. "If The Day Was Any Longer" is a pretty laid back song that's almost folk-rock, Rory plays some nice Mel Lyman style harp on this one. "Morning Sun" is a full out rocker again recalling fellow Irishmen Thin Lizzy. Side two opens with another blistering raver called "Eat My Words" the group is really clicking on this one Richard McCracken's plays lead bass right in your face ala Andy Fraser, Rory plays some razor sharp bottleneck lines while John Wilson plays the Ginger Baker part on drums. 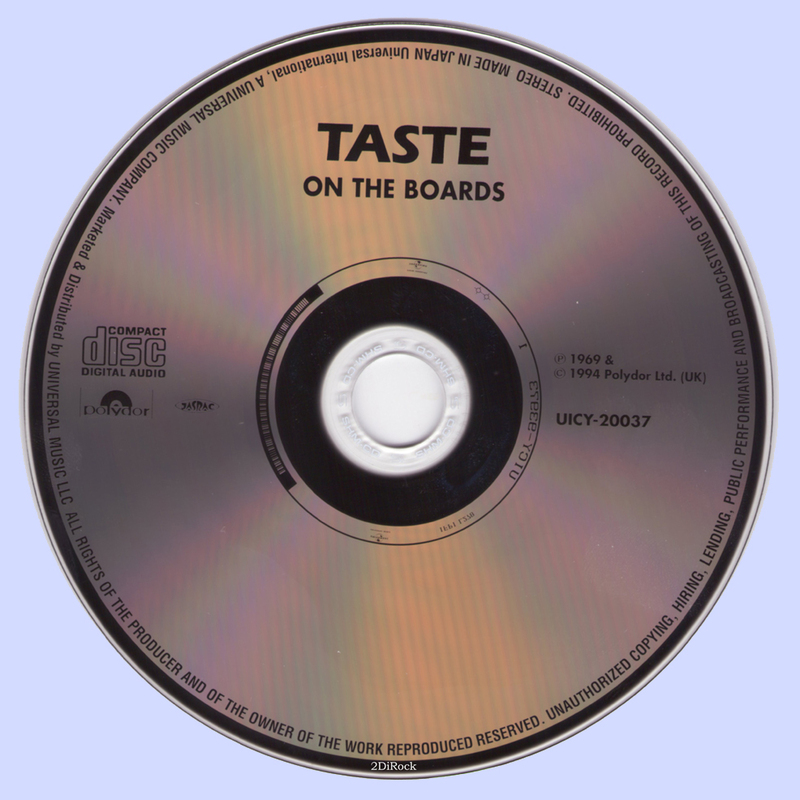 The title track "On The Boards" is a very interesting one that uses space to great effect, Rory's guitar sounds very San Francisco-ish like he just got done jamming with Barry Melton. "If I Don't Sing I'll Cry" is a blues rock stomper in the Savoy Brown mold and may be seen as a throwaway but nothing too bad. "See Here" is a beautiful solo acoustic song by Rory, kinda like Danny Kirwan's contributions to Fleetwood Mac's classic "Then Play On" album. "On The Boards" finishes with "I'll Remember" which is the best song on the album, the arrangement is great, the band are totally in sync and they rock like there is no tomorrow. 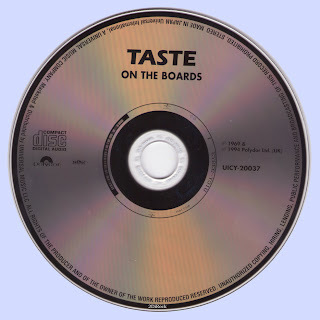 "On The Boards" is a tight well played album that is filled with great songs with no frills just the way Rory liked it. 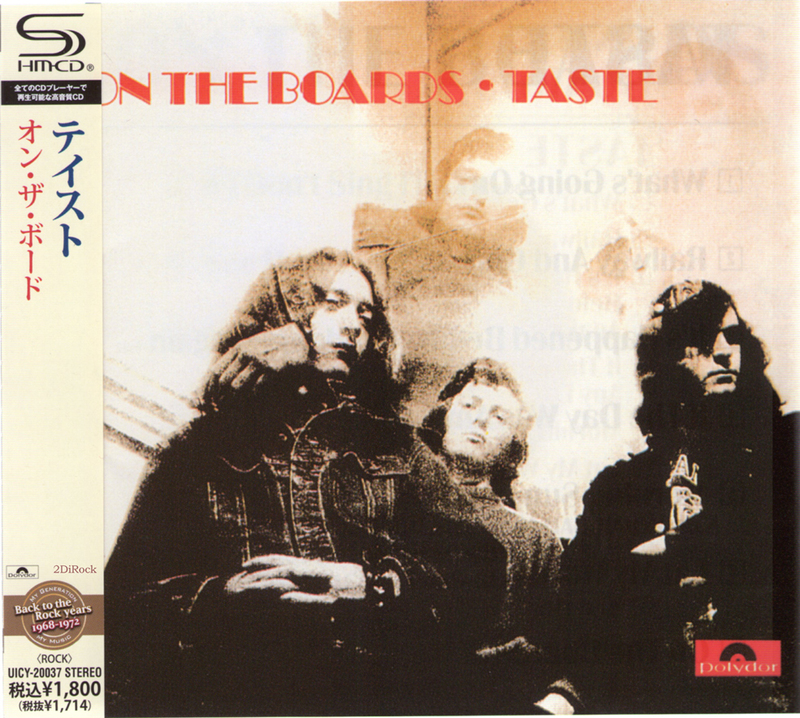 Taste split after this album but Rory put together another trio very much in the same mold as Taste. He made many worthwhile records in the 70's, "Deuce" being my favorite. Before punk happened his records were the only thing that got me through the wasteland of the mid 1970's. I had a chance to meet him after a concert in the 70's and he was a true gentleman. A great man who will be sorely missed. (1970 ireland, blues rock classic, second album japan SHM-CD) dead? I think that this album is a masterpiece! Thank you for SHM release.